Petting your rabbit is a very bonding and soothing experience for both you and your bunny. 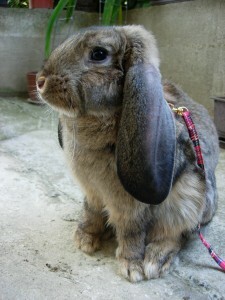 Its important that you learn how to pet a rabbit safely and calmly so that it is a good experience for you both. 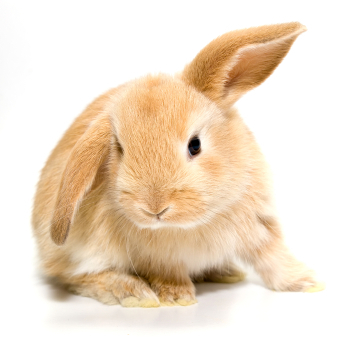 Keep reading to find out the correct ways to pet your bunny and some “secret spots” that they like to have rubbed. Leanring how to pet a rabbit: start with a rabbit’s back/ sides when petting them (this is also a good place for children to pet a rabbit because if they start out to rough it won’t hurt the rabbit and you can show the child how to be more gentle). First, make sure that your bunny can see you coming and isn’t startled by a hand suddenly on their back. Place you hand a few inches away from them so that your rabbit knows you’re close and going to touch them. Reach your hand towards your rabbit at their eye level (rabbits can become startled if something is reaching over their heads) and then start to gently stroke their back and sides. This is a great time to give your rabbit a small treat so they start to associate you with good things coming their way. If your rabbit tenses up then stop petting them but leave you hand resting gently against their fur. Wait for your bunny to relax before continuing. Next, move to the head and base of the ears. Most rabbits love to have the top of their head rubbed and some just can’t get enough of the spot between their ears (it’s like a rabbit sweet-spot). If your rabbit is very relaxed and accustomed to having you pet them you can even try rolling them over and petting their belly! I’ve had many rabbits fall asleep during this because it’s so relaxing. 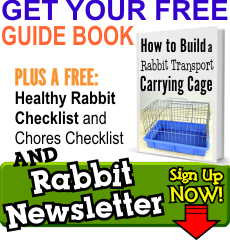 Don’t forget to check out the page on how to pick up and carry your rabbit to complete your basic handling skills!